In this blog I will write regulary about the different asana’s (yoga postures) and sequences, to give more background information, funny facts and suggestions about it. I will kick-off with the Sun Salutations. 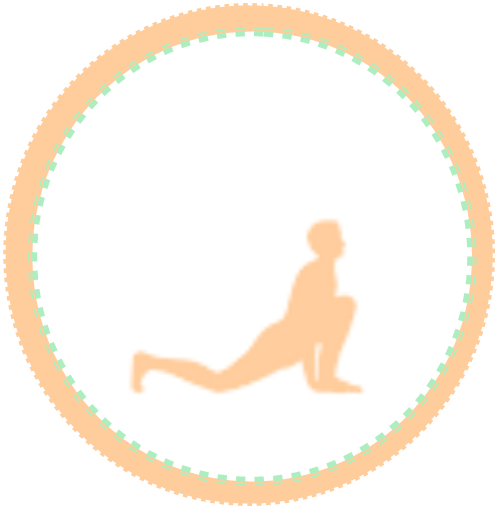 This sequence of postures in different variations is commonly used to warm up the body. it takes for the light of the Sun 7 minutes to reach Earth. if the Sun was hollow over a million earths would fit into it. the diameter of the Sun is: 1,392,684 km. With the Sun Salutations you honor the sun, since the sun has a strong impact our physical and mental wellbeing. Now more about the Sun Salutations. You’ve got two variations Surya Namaskar A, this is the classical series of twelve poses linked together with breath, and Surya Namaskar B, in this series there are 2 postures added to the A Sequence. 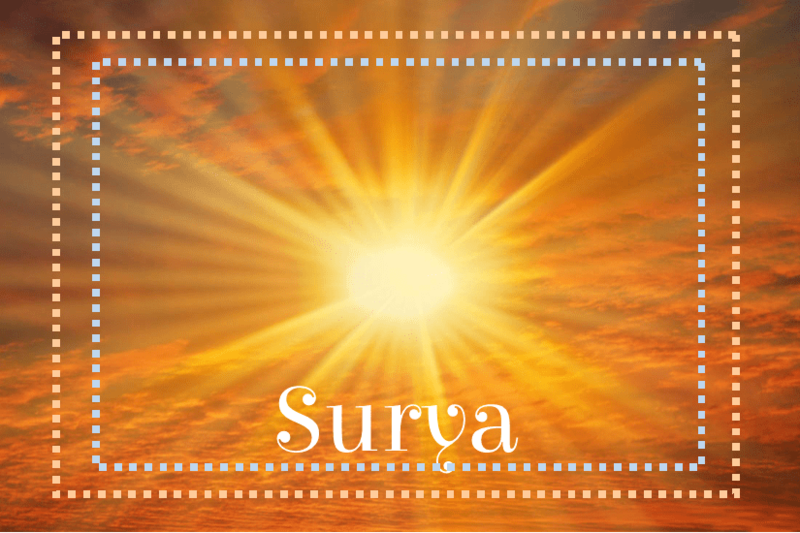 This time I will explain you more about Surya Namaskar A. There are different practices of the Sun Salutations so it might be that this sequence is slightly different the one you are used to if you practice yoga. I choose this variation because it is suitable for as well beginners and more experience yogi’s. Furthermore there are no jumps in this sequence, especially when you do a lot of Sun Salutations (eg.108) in a row this can be too much for your wrists. If we are only doing a few sets I might choose an other variation in my classes as well. I can recommend you to try different options and see what suits you best. They are all good . The breath is an important part of the sequence. You move from one posture into the other on the rythm of the inhale and exhale. Below a an overview of the postures and the breath related to it. In the beginning you might struggle to move to the next pose on the correct breath, but after a while you will come into a flow. So keep on practicing. Look up, step your right (s1) / left (s2) foot back, bring the trailing knee down, fingers pointing down. Come up in low cobra pose or roll over your toes, lifting your legs up while you stretch your arms. Roll back over your toes and push yourself up into downward facing dog. Handpalms together, bend your knees and come up with a straight back, raise your arms and bend back. What are the benefits of the Sun Saluations? How many Sun Salutation should you do? Ideally you practice the Sun Salutations in sets. One set consists of 2 rounds one with the right leg and one with the left. As a beginner it is good to start with two to four rounds and build it up to a daily practice of 12 or even more. 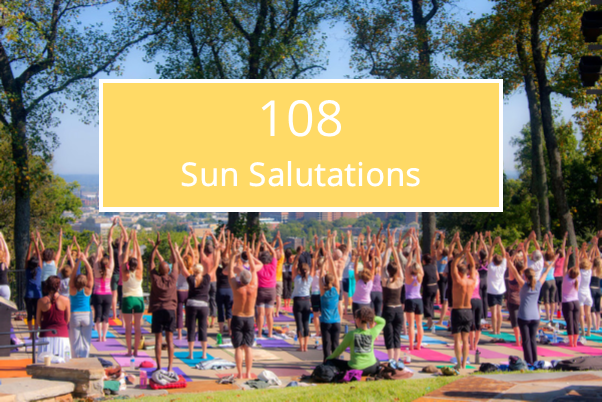 You can even build it up to 108 Sun Salutations. What is the best time to do the Sun Saluations? The best time to do the Sun Salutations is in the morning at sunrise, however they will also be beneficial on other times of the day. If there is a Salutation to the Sun, is there also a Salutation to the Moon? Yes, there is also a Moon Salutation, most often practiced at New or Full Moon, when the energy field of the Moon is really strong. On those days it is recommended to do a softer, more meditative sequence. Where the Sun represents the Yang (masculine, powerful light) side of life, the Moon the moon does the Yin (feminine, soft, dark) side of life. The Moon sequence will restore your balance. Read here: Why 108 Sun Salutations!